This article is one of three on books for introducing children and teens to Buddhist concepts such as mindfulness, meditation, and metta (lovingkindness), as well as some Buddhist history and the life of the Buddha. This article focuses on books suitable for young adults and teens, while the other two articles focus on books for 3-8 year olds and 9-12 year olds. Teens are ready for non-fiction books that really speak to how Buddhist ideas such as mindfulness and compassion are relevant to their own lives. They face a myriad of pressures from peers, school tests, and worries about their futures, so dealing with stress is a very real issue for them. Some may be interested in a formal meditation practice. Others may be ready for a more detailed understanding of the history and philosophical underpinnings of Buddhism. The books below address these interests in a way teens can relate to, without alienating them through misguided attempts to sound cool or hip. Wide Awake: Buddhism for the New Generation, by Diana Winston – This is an excellent introduction to Buddhism for anyone, not just teens. But the author keeps it targeted to teens by quoting many teens that she has worked with in her own work teaching Buddhism and meditation. She also integrates stories about difficult real-life high school situations, and from her own past, so that it does not feel like the reader is being spoken down to or preached to. The book begins with an introduction to Buddhism that includes the Buddha's life story and a discussion of the Four Noble Truths. She moves in to meditation instruction, and then into more complex discussions of Buddhist concepts such as karma and metta. The Way of Youth: Buddhist Common Sense for Handling Life's Questions, by Daisaku Ikeda – This book is also non-fiction, but in a Q & A format drawn from columns in one of the world's leading Buddhist newspapers. The author responds to youth questions in that publication, and has gathered many of their questions and his responses here, in addition to adding come additional writing. Most questions and their answers are only a page or two in length, making this an easy book to dip in and out of. Examples of topics are how to handle nagging parents, how to deal with people who don't like you, how to handle heartbreak, and how to study well. Siddhartha, by Herman Hesse – I wanted to include at least one teen fiction selection, and after searching high and low, returned to this classic, which is already part of many high school curriculums. 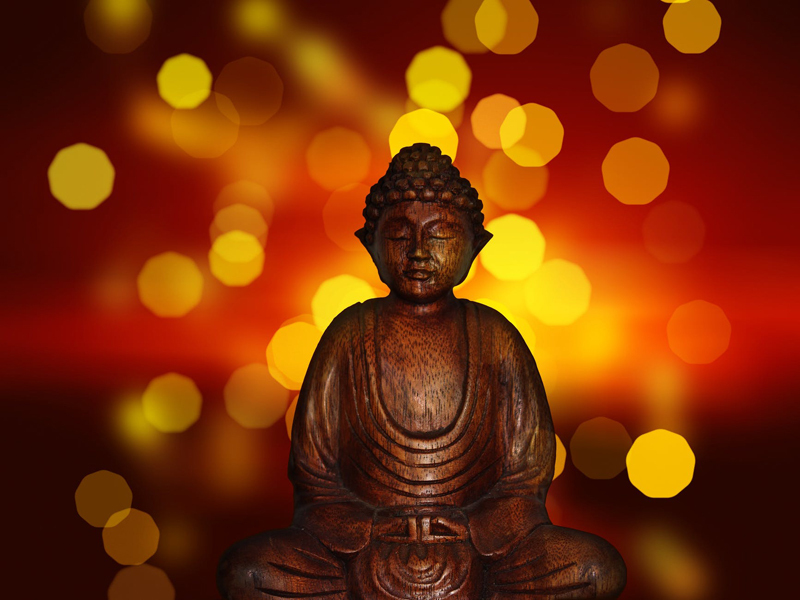 While this is not technically a telling of the Buddha's life story, it includes many of the same events, and explores the internal reactions and struggles of Siddhartha along the way. The universal questions he asks about the human condition and his own life cut right to the heart of the spiritual journey. At just 150 pages, it is also compact and to the point. It is probably best suited for older teens, as the language and themes are sophisticated. You can purchase these books from Amazon through the links below. Please visit the forum to post your own book recommendations. If you are interested in teaching your children to meditate, visit BellaOnline's Meditation site, which features guided meditations for kids and teens.